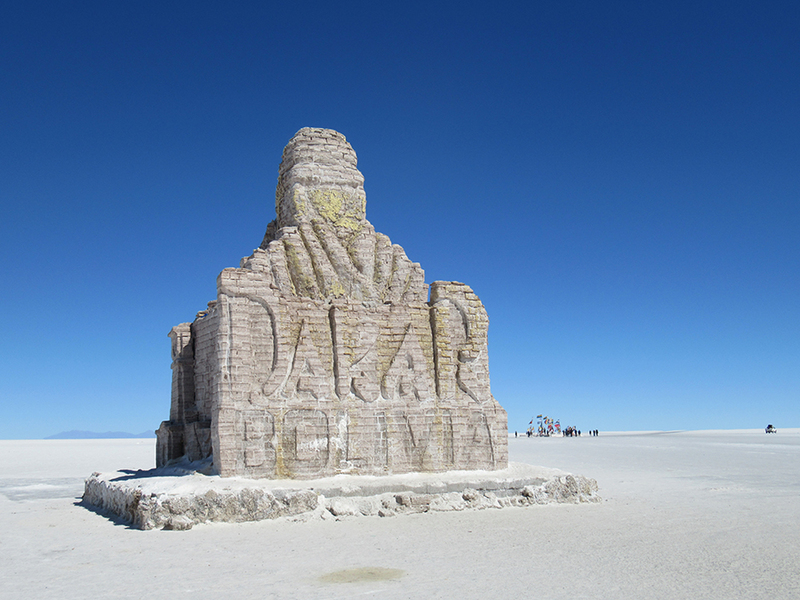 Uyuni salar – Always Look Back ! 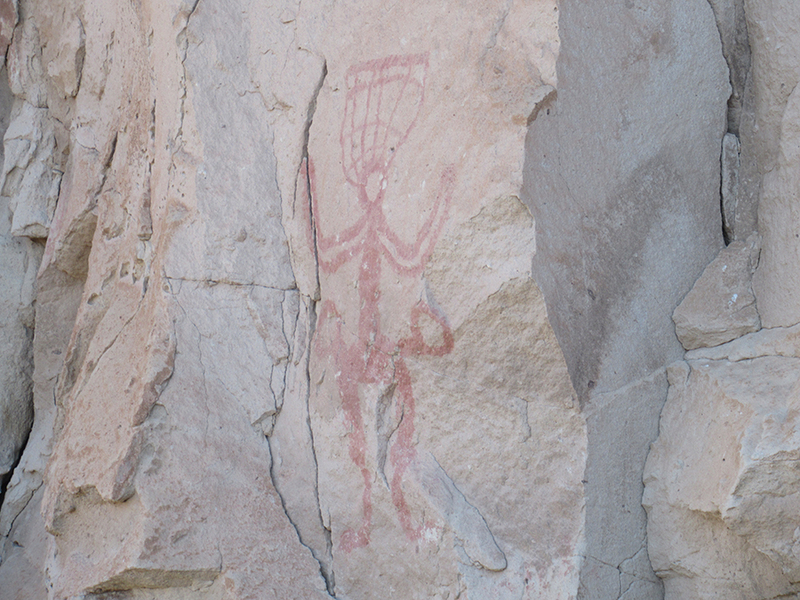 I couldn’t leave Chile before visiting this region in the border north of the country. 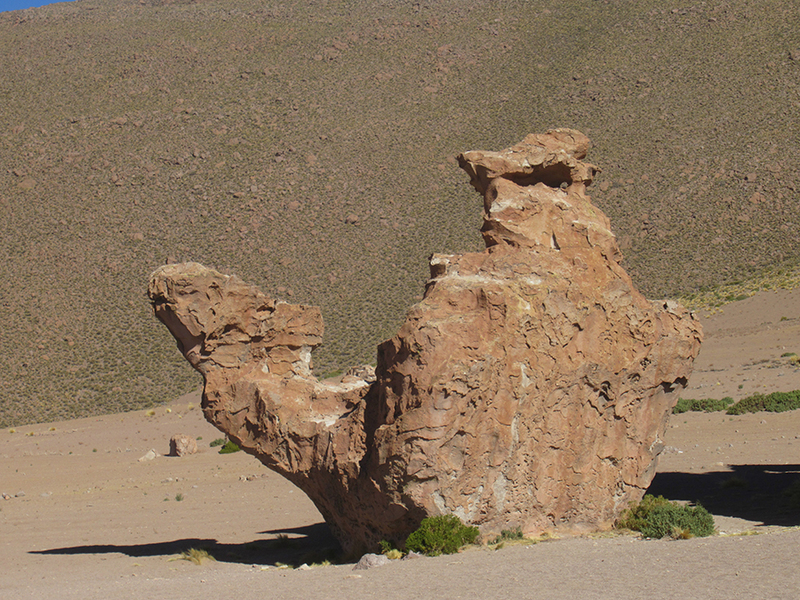 So we booked a 3 days 4 nights tour with my chilean best friend and discovered real nature treasuries, like the region of the lakes, the geysers and warm water baths, inca’s hieroglyphs, canyons and volcanic formations, and cities lost in the desert… We Slept in a salt hotel before arriving to the main attraction: el Salar de Uyuni! We started the tour from San Pedro. A mini bus took us at our hotel at 7.30am and took us first to the chilean custom desk – where you need to present your PDI entrance ticket – and we took the breakfast there (warmer than on the mountain). 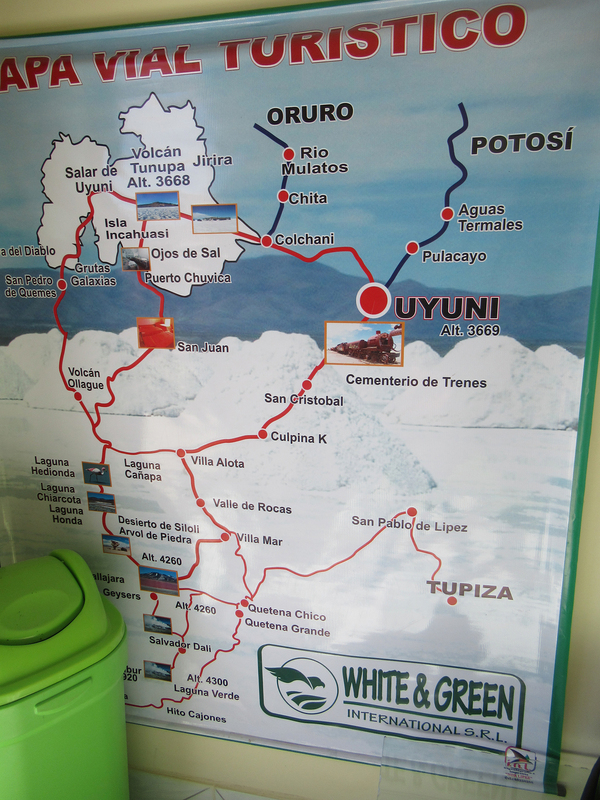 After 30min driving you will arrive to the Bolivian border where you’ll do an other line, get your passport stamp and finally start the tour (after a short last stop to buy the entrance ticket of the area)! The first day we met the group who will share the next days with us: Ahley, a canadian, Ignacio, mexican, Mylene and Laurane two frenchies, and our guide Nelson! We started the day playing on the frozen white lake (Laguna blanca), then we took a stop in Laguna verde, the green one (should be greener during the summer) in front of Licancabur volcan, and headed to the Dali desert and its volcanic stones (planted there after a huge volcanic eruption). We then arrived to a hot bath area, you can swim there if you want. Just Ashley did, we were too cold to think about taking of our clothes… After a quick lunch we kept going to the geysers, and finished the day to the most beautiful lake of the tour: Laguna Colorada. I can’t describe how beautiful it was in the end of the day, with the reflection of the mountains and the flamingos flying on the water. We arrived around 6pm at Villamar, a city lost in the desert, to have a coca tea and a light dinner. We booked a tour with Flamingo Agency (on Caracoles street in San Pedro), it cost 130.000$ with nights, food and transport. You then need to change in San Pedro around 30.000 chilean pesos to have Bolivianos to pay the cactus island entrance, beers and souvenirs. 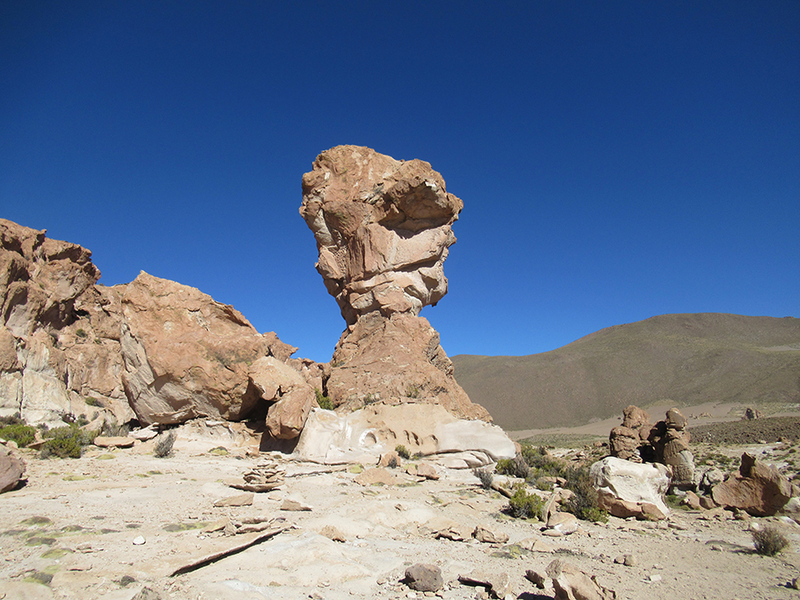 From Villamar we started the day by a rock full of old inca’s hieroglyphs, then our guide shown us la Copa del Mundo, a stone with an approximative form of the World cup, and la piedra del camello, a stone which look like a camel. After that we took a walk into a very nice canyon and climbed on the top to have an amazing view of the region. 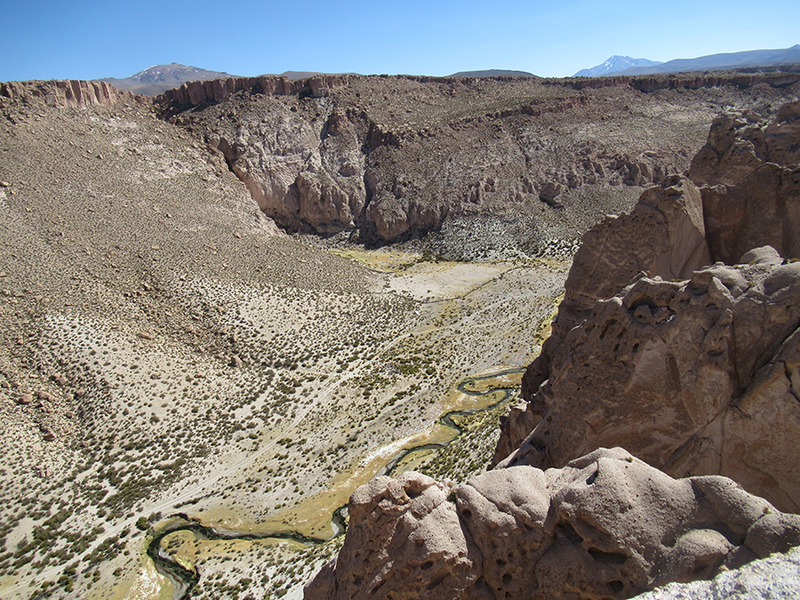 We then discovered Laguna Negra, a very nice area full of small rivers and lamas. We finished the tour by the Canyon of the Snake river, and made a break in a small city with a shop selling local beers, before arriving at Colcha K, in the Salt hotel “Samarikuna”. The hotel was nice but still very cold by night, we had a dinner where they told us it was flamingos but it looked like a LOT like chicken. 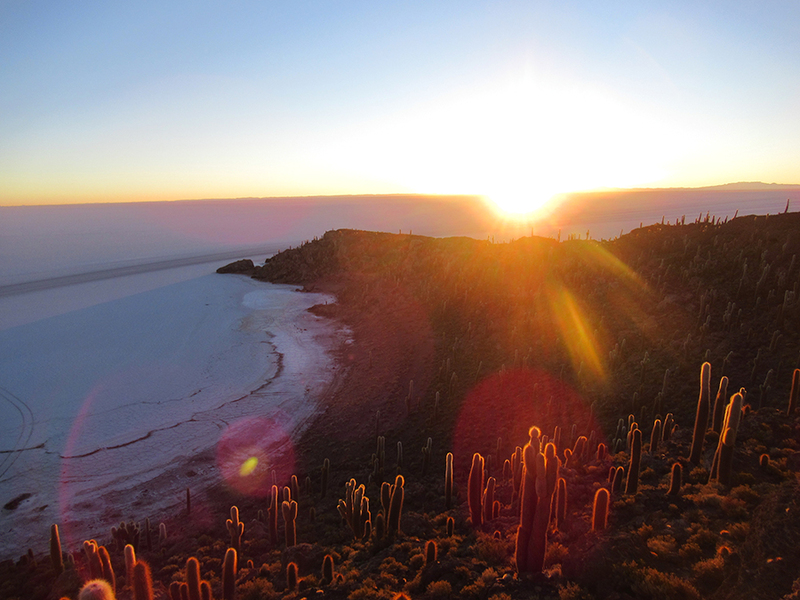 We walked up very early to see the stars in the middle of the salar before arriving to Isla Incahuasi, a cactus hill in the middle of the salar. We were frozen, bought the entrance and waited the sunrise in a quiet place (on top it was really full of tourists). It was gorgeous to discover the immensity of the salar slowly appearing while the lights were shinning on. During the summer you may replace this sunrise by one on the water (frozen at this period…). We took our breakfast in the car park of this strange island, and went in the middle of the salt desert to play with pictures! Nelson, our guide, had everything planned: the famous dinosaur, a buddha and other games. It was a really fun time and nobody wanted to end this moment. But we had to keep going and stopped to the Banderas Monumento where you have almost all the flags of the World (all but one: the chilean one as they don’t really like each other…). Here we also found the starting point of Paris Dakar rallye, a very nice statue getting a bit old! 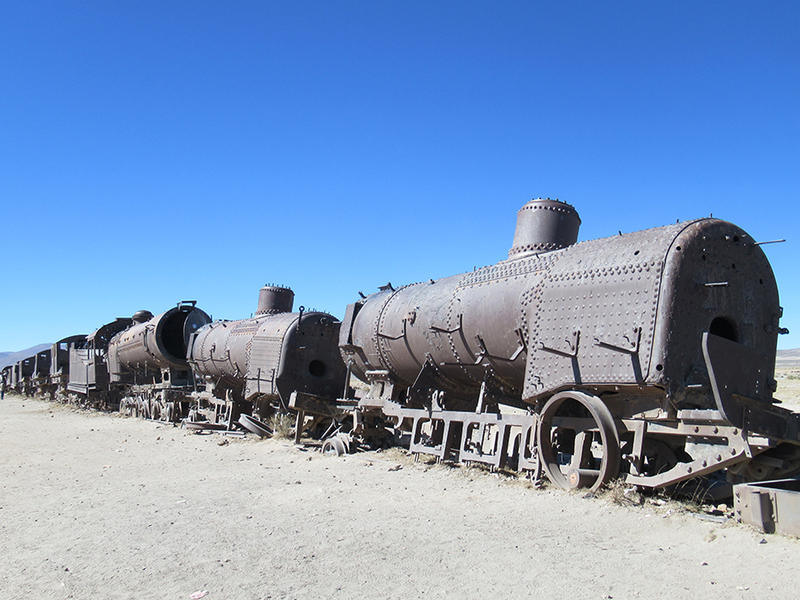 We had lunch in Uyuni before finishing our trip with the train cemetery, and after saying goodbye to our friends, and a small visit of the city, we took a new colectivo to go back to Villamar (our first hotel) and just made one stop to San Cristobal. The last day we left very early the hotel to arrive to the entrance of the parc at 7.30am, eat our breakfast and went back to the chilean border at 9am. They asked me to pay a tax to enter – 30 bolivianos or 3000 chilean pesos (I didn’t because I had my chilean resident ID). 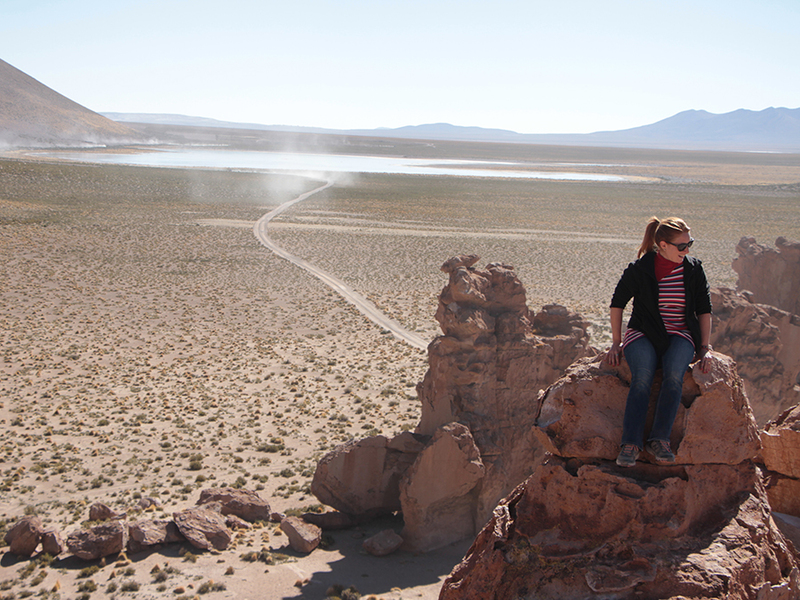 We were back around 11am in San Pedro de Atacama. We were very happy of this tour, even if you feel like you follow a main touristic road we were almost alone. The only bad points are maybe the hotels too cold and the food very basic, but our guide was really easy going (only speak spanish though). We only missed the “Stone tree” (Piedra del arbol) and the giant mirror, frozen during winter. – Use coca leaves (take three, fold them and leave them in your mouth between your teeth and your gum).